Bridge the gap. Make a real difference to children and young people with autism. Give each autistic child in your care the best possible outcome through practice-led learning. 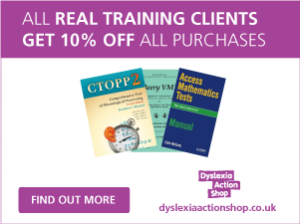 Develop the relevant skills and knowledge to close the autism support and teaching gaps in your setting. Gain a critical understanding of the relevant theories, research and policies, and the ability to assess knowledge and existing practice. Understand how theory, research and knowledge impact on educational policy and practice for those with autism. Grasp the concepts and history of autism and the autism spectrum. Become familiar with the approaches and interventions that really support learners with autism. Evaluate autism in light of the latest literature and research. Identify links between autism concepts and individual needs in your setting. Isolate and analyse the factors that shape educational practice and policy for your students with autism. Harness your day-to-day experience of autism and work with your tutor to develop your skills. Plus, when you join, you will receive a year’s subscription to Special Children Magazine. It’s a great publication and provides professional support to the education sector. The module is split into four strands. Each strand – with the exception of strand four – consists of a series of learning experiences (LEs). These LEs frame your study through a broad range of practical activities. Explore your setting by considering the personal perspectives on the management and support of learners diagnosed as being on the autism spectrum – including carers and other professionals involved in supporting them. Consider the personal accounts of individuals affected by autism and investigate the experience of colleagues in your setting who work with learners with autism. You will also reflect on the history and development of the concept of autism and the autism spectrum. Choose a learner in your setting to become the focus of this strand’s profiling activities. You will bring your colleagues on board and liaise closely with them during the process. Develop a profiling framework to put together a rich picture of the case history and the current interventions that are in place for the focus learner. You will then analyse the information that you have gathered in relation to the dominant psychological models of autism spectrum conditions. By summarising the distinct areas of need that you have identified, you will create future intervention strategies for your focus learner. Bringing together the notes that you have made, you will write your first critical analysis assignment draft (3,000 words). 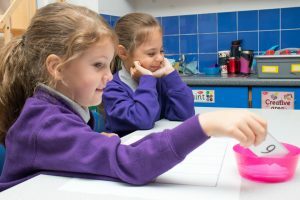 Using the information that you have gathered from looking at a particular individual in the first strand, you will use the Autism Education Trust (AET) National Autism Standards for Schools and Educational Setting framework to consider the impact of systemic organisation and approaches within a setting. You will then visit an ASC specialist provision and consider that setting through selected aspects of the AET framework. You will then carry out an audit using aspects of the AET framework to support your analysis. Following this, you will draft appropriate strategies that you believe will improve the rating of your setting against the specified standards that you have chosen. Finally, you will combine the information gathered, the audit and the proposed next steps action plan into a report that you will discuss with your manager/head teacher. Your discussion, report and plan will form the basis of the next assignment that you will complete at the end of strand three. At this point, you will bring together all of your work so far. The essential question being: What will you have learned about your setting in light of the current research evidence on the effectiveness of ASC provision and the range of interventions available? You will then create a research and provision map relating interventions in your setting to the research base. You will bring this together with the data that you gathered during your audit and draft next steps for your setting and on a personal, professional level. Discuss the resulting report with your manager/head teacher and create a personal and systemic action plan for change for those with autism spectrum disorders in your setting. Produce a report and plan that will be the foundation of your next critical analysis piece (3,000 words). You will submit your final e-portfolio of work (critical analysis one and critical analysis two), it will be marked and the grades will be submitted to the Assessment Board. Continuous assessment is an integral part of the course. Written assessment, self-assessment, supervisor assessment, questionnaires and reflective learning logs will help you to understand the principles and the practice in a supportive online environment. Campus OnlineTM is a state-of-the-art learning platform and we encourage feedback. We will do everything possible to help you develop. Clear, easy to understand, learning experiences will guide you every step of the way. Critical analysis one (3,000 words or equivalent): Write an essay entitled: The history of autism and the emergence of the autism spectrum – with a primary focus on children and young people. Critical analysis two (3,000 words or equivalent): Write an essay entitled: The features of good/effective educational policy and practice in supporting the needs of children and young people in schools with reference to theory and research. You will need to have an undergraduate degree, be employed and working in an education setting, ideally as a teacher.